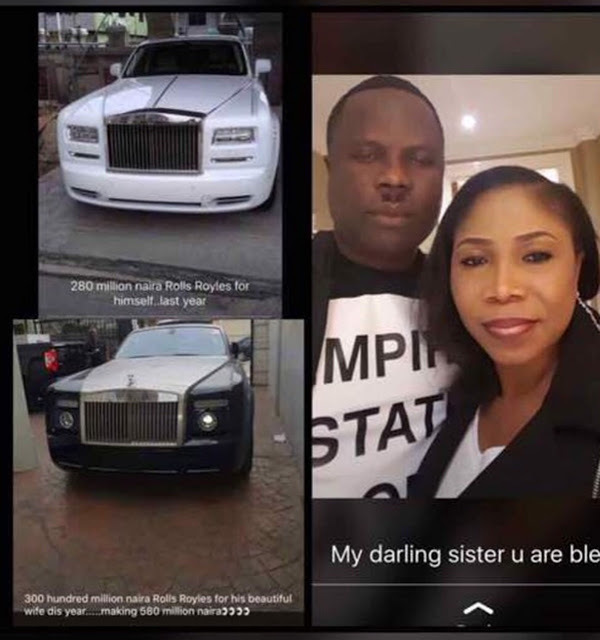 Warri Billionaire Kenneth Bramor recently bought a Rolls Royce for the ''love of his life'' Timi, the UK based Mother of his four kids months after taking on a new wife. Insiders say ''Ken has been with Timi and spent two months straight with her Abroad trying to make it up to her.....The RR is currently parked in the Magodo home Timi normally stays in whenever she is in Nigeria before she heads on to Warri. Timi whom sources allege was with Mr. Ken before he made money also lives in a house in Knights-bridge bought in her name by Ken. The white RR is customized for Mr. Ken whilst the black is customized for Timi. This is a developing story so expect another Angle.